Or with the Oxford group… depends on who you ask! Due to power failure, I had to walk along Praed St from Edgware Road to Paddington Station and, along the way, this little gem of a place can be seen. 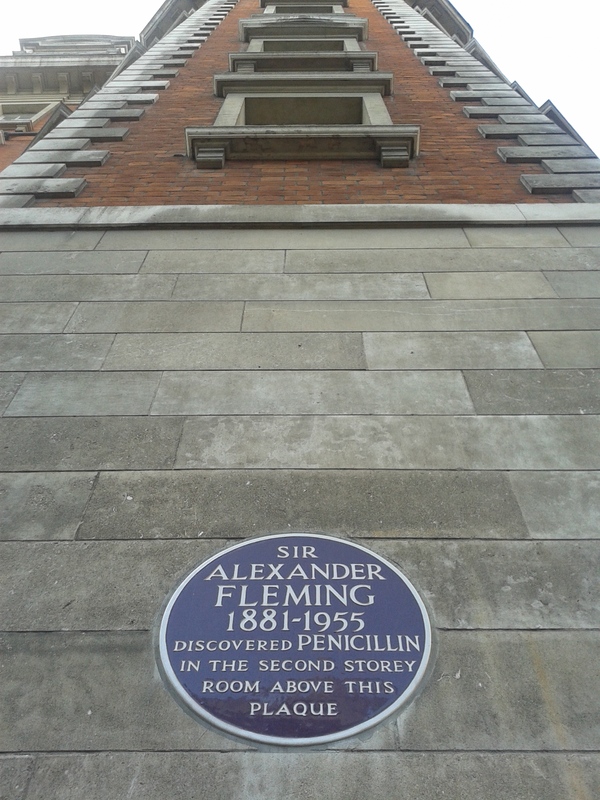 Sir Alexandre Fleming is the person mostly known for the discovery of penicillin, but the debate that comes with it can be long…. very very long, so I will let you look it up at your own leisure.